NEW STOCK DUE TO ARRIVE VERY SOON AND IN WONDERFUL OVERALL CONDITION. FINISHED IN METALLIC MAGNUM GREY PAINTWORK WITH A DARK CONTRASTING CLOTH & LEATHER INTERIOR. 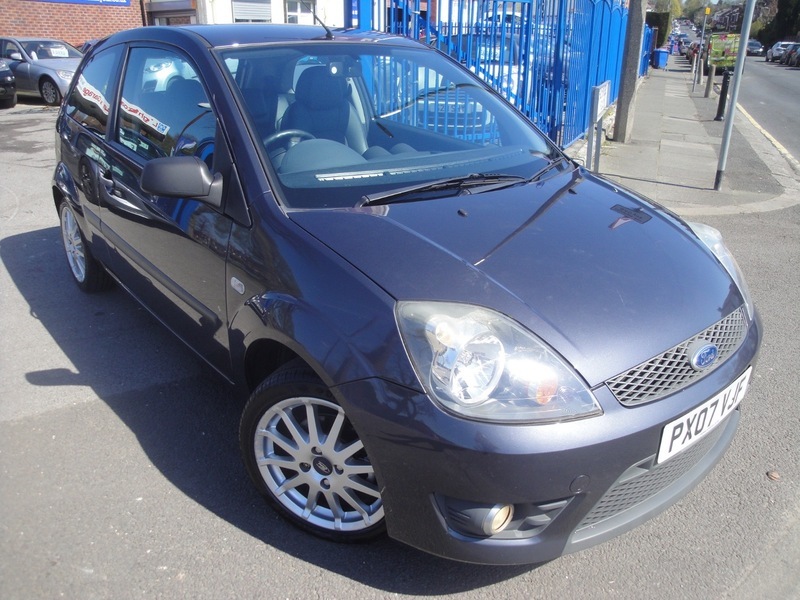 THIS FIESTA ZETEC S HAS HAD JUST 2 LADY OWNERS FROM NEW AND HAS A SERVICE HISTORY TO BOAST HAVING A TOTAL OF 10 SERVICES RECORDED. COMES WITH 2 KEYS, ORIGINAL SERVICE BOOKLET AND HAND BOOKS. SERVICED AT 7771, 17957, 24281, 32173, 39094, 43349, 47616, 52468, 58645 AND 66688 MILES.